Find the best dental plan for you! Who doesn’t like saving money? Particularly when that money can be saved on necessary dental work that can be a challenge for most Americans to afford in today’s economy. For this reason, plans like dental insurance or dental discount plans have grown in popularity. What Makes Up the Best Dental Plans? Find the Best Dental Plans Near You! The whole point of a dental plan is to save money, so why would anyone want to pay high prices for a membership they may or may not like? Finding an affordable membership price for a good dental plan can be a challenge, but it is worth it in the long run. While some plans offer a low membership price, new members soon discover that the discount rates are a minimum and work against saving them as much as they had originally hoped. The best dental plans strive to save you money with fair discounts on both sides. Other forms of dental plans may involve a waiting period before activation. This is inconvenient for many – especially those in need of urgent dental attention. Many savings plans are complicated. Dealing with finances, cooperating providers and exclusions can be intimidating and frustrating, making it understandable why a straightforward plan is of high priority. Individuals with questions or members with complaints require prompt attention from their plan provider. Providers who do not provide feedback or answers leave customers feeling disheartened and unsatisfied. The best dental plans are those that can help you save money on dental procedures for you and your family! Large member networks essentially act as a review system for dental coverage. If a dental plan is reliable, easy to understand and efficient, people will purchase and promote it. Maybe a person is already visiting a dentist they are satisfied with, or perhaps they live in a rural area – whatever the case, plans with large networks of dentists provide convenience to each member. The discount plans provided by 1Dental strive to appease all of the factors above to make the best dental plan for individuals as well as members. Take a look at how 1Dental operates below. 1Dental's discount plans act to save members money on dental expenses by offering a reduced rate for procedures with all in-network dentists or specialists. Check out the full fee schedule for routine and unique procedures at 1Dental.com. As soon as a person signs up with a Careington plan at 1Dental, their plan is activated and can be used immediately to help them improve their dental health at a low cost. The Dental Access Plan powered by the Aetna Dental Access network, also provided by 1Dental, requires 7-10 business days to process before use. Print off your 1Dental member card. Choose any dentist in the trusted network. Take your card to the dentist & show it to them. They will honor pre-negotiated rates for each dental procedure. Remember to check out the fee schedule beforehand to know how much you will be expected to pay! 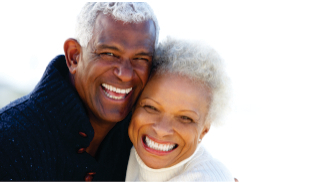 Begin saving 15-60% on each dental procedure. At 1Dental, the Sales Team and Customer Care Team make it their priority to assist those with concerns, questions and complaints. Not only are the 1Dental plans great for individuals, but they are a great option for families, as well. In 2014, 1Dental has sold over 100,000 family plans. Take a look at 1Dental's pages for individual dental plans and family dental plans. Since 1979, the plans that 1Dental sells have grown to have over 9 million members! For all of the plans at 1Dental, the network of accepting dentists or specialists is large! Specifically, the Aetna Dental Access Plan has one of the largest dental networks of 158,000 participating dentists and specialists. Joining a 1Dental plan is easy! Simply click here to view the page for our best-selling plan, or call the 1Dental sales team at 800-372-7615. Don't wait - you could start saving money on dental work today!